Quick overview The fashion body unbound. 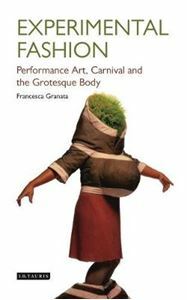 Experimental Fashion traces the proliferation of the grotesque and carnivalesque within contemporary fashion and the close relation between fashion and performance art, from Lady Gaga's raw meat dress to Leigh Bowery's performance style. The book examines the designers and performance artists at the turn of the twenty-first century whose work challenges established codes of what represents the fashionable body. These innovative people, the book argues, make their challenges through dynamic strategies of parody, humour and inversion. It explores the experimental work of modern designers such as Georgina Godley, Bernhard Willhelm, Rei Kawakubo and fashion designer, performance artist, and club figure Leigh Bowery. It also discusses the increased centrality of experimental fashion through the pop phenomenon, Lady Gaga.